DES MOINES – Today, Senator Amanda Ragan alerted citizens they she is “working for you” during the new legislative session. The 2019 legislative session gaveled in on Monday, January 14. It’s an honor to be back in the Iowa Senate to continue representing the people of Butler, Cerro Gordo and Franklin counties.My focus is on moving Iowa forward. We can start by strengthening Iowa’s healthcare and mental health systems; adequately funding education so our children get a head start; and expanding job-training opportunities that meet the needs of workers, employers and communities. By listening and working with every member of a committee, you can often make a difference well before legislation comes to a vote on the floor of the Senate. My committee assignments offer plenty of opportunities for me to advocate for the people and communities in my district. This year, I’ll be serving on the following committees: Appropriations, Human Resources, Rules and Administration, Veterans Affairs, Health and Human Services Appropriations Subcommittee (Ranking Member). In the next two years at the Capitol, I will continue to make everyday Iowans – including seniors, students, workers and women – my priority. As I always have, I will work across the aisle on legislation that helps all Iowans while opposing legislation that only benefits special interest groups. In order to do that, I need to hear from you. I want to know your concerns and ideas, and what you think about the direction Iowa is headed. You can call me at the Statehouse at 515-281-3371, or email me at amanda. ragan@legis.iowa.gov. I also encourage you to follow what I am doing throughout session. 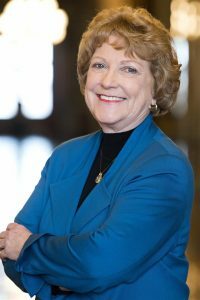 At www.senate.iowa.gov/senator/ragan, you can sign up for my newsletter, connect with me on social media and find out about upcoming forums. she is a professional paycheck collector and in politics for the money and a bit of political gossip. recently she has never got anything accomplished. steve minert was going to run against her but he had no chance in hell. mason city needs to find a good strong candidate to run against ragan. did not see her step in and prod about the school board money being stolen. She works for the teacher’s union. And that’s it..
How does she keep getting elected if she works for the teachers union? There are only a few hundred teachers around here and many of them vote Republican. Sounds like you are lying again. Who is she trying to kid. She is working for herself and always has.